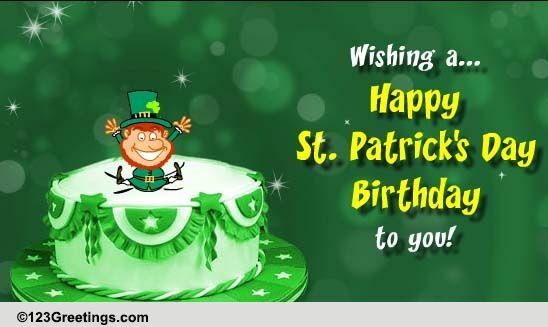 March 17 brings with it two major events: St. Patrick's Day and Sean's(St-PatGuy)birthday. Happy Birthday, Sean! Have a great birthday, Sean! Oh well, Happy Birthday, whoever you are! Happiest of birthday's to you.